A couple weeks ago I posted on my Instastory that I had just got a package in the mail from Supergoop! and I was excited to test it out before sharing with you guys what I thought of it! If you follow me on Instagram then you’ve probably seen that we’ve been to the pool and beach a few times this summer (and we plan to go A LOT more!!!) and I’ve been using the Supergoop! every time on me and my kids and I seriously LOVE it! Wearing sunscreen and protecting your skin from the sun has always been super important to me. 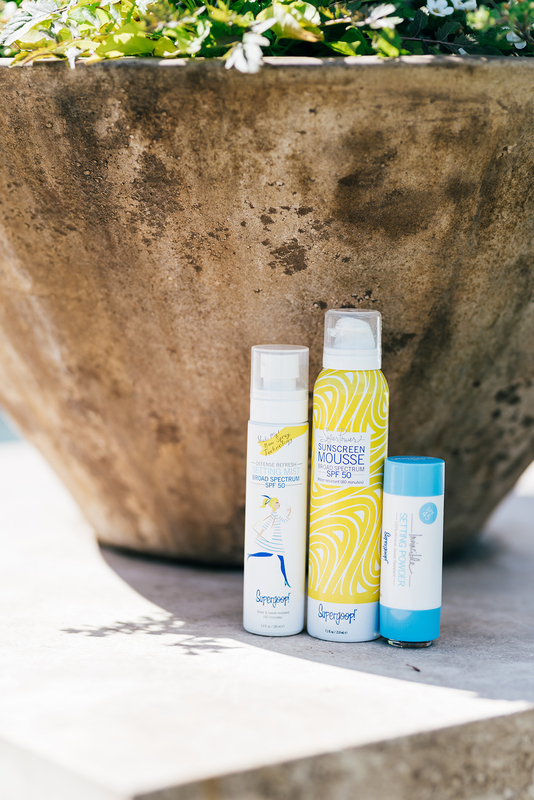 I’m a huge believer in applying and re-applying sunscreen so that you won’t have damaged skin (better safe than sorry!). 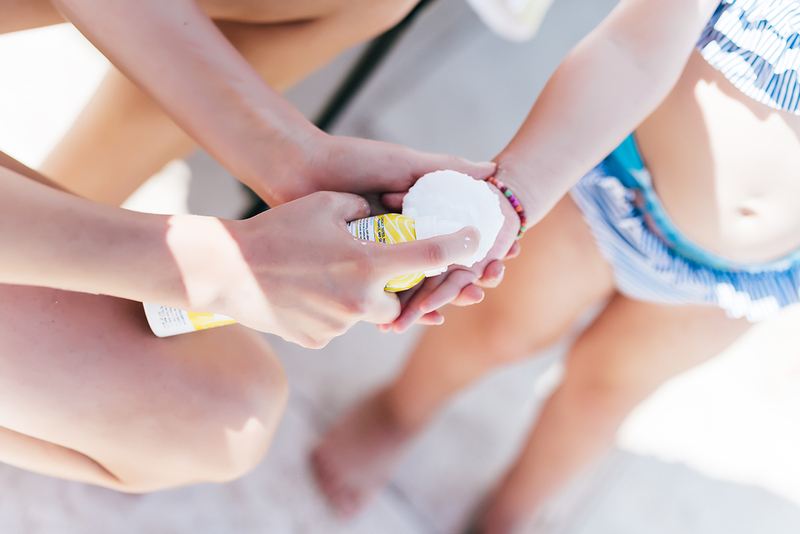 I’m very conscious about what products I use on my kids and I usually try to buy organic products, but some of the sunscreens I’ve tried lately I haven’t been very impressed with. One in particular just dries up and peels off the second I try rubbing it in. But I’ve seriously loved these Supergoop! products especially the mousse, it’s our favorite! It comes out so easy and goes on super smooth (complete opposite than the other stuff I was using). They also have a mineral powder, lip balm, anti-aging cream and so many other amazing products that I’ve linked in the widget below. Last week I met up with some friends and their kids at the pool and everyone wanted to use it, so I’m actually almost out and I need to order more!!! Have you guys tried Supergoop!? I seriously can’t say enough about it. It’s for sure the only sunscreen I’ll be using this summer! Brought to you by Supergoop! Sounds like a super product! I’ve not used it before, but as a VERY pale Irish skinned woman, I’m always on the hunt for great skincare ranges, especially when it gets hot!! Thanks for sharing and I love your swimsuit! It is my favorite!! I have been using their city serum and antioxidant sunscreen for about 6 months and my whole family loves it! 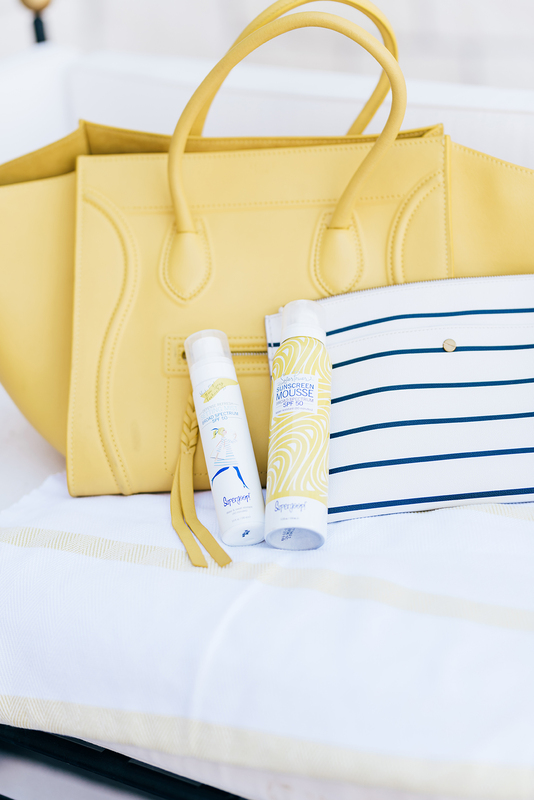 We’ve been wanting to try a safe new sunscreen! Totally going to give this a try! I haven’t used this yet but I have heard really great things about the brand! I want to try the mousse and lip balm. These photos are SO gorgeous!! Will have to give this sunscreen a try. beautiful girlies! this looks like absolute heaven! i wish i could jump right in these photos. :) and supergoop! is the best!! i have used them for years now, and i am sooo glad they were introduced to me when they were!! I’ve actually never heard of this brand before, so I’ll have to keep an eye out! I’m sure Isla loves using it, since it foams, haha. Thanks for sharing and I hope you’re having a great day so far! Y’all are seriously too cute! And I’ve got to try this sunscreen everyone LOVES it! Love Supergoop! 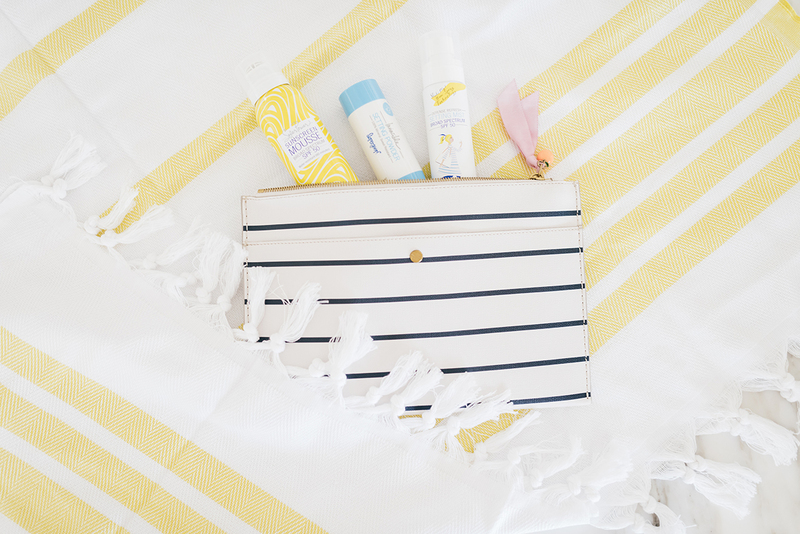 They’re one of the only brands I’ve been able to find that has good, unscented sunscreens that I can wear throughout the day without smelling like I’m at the beach. I totally agree with you! I love it! Love Supergoop! 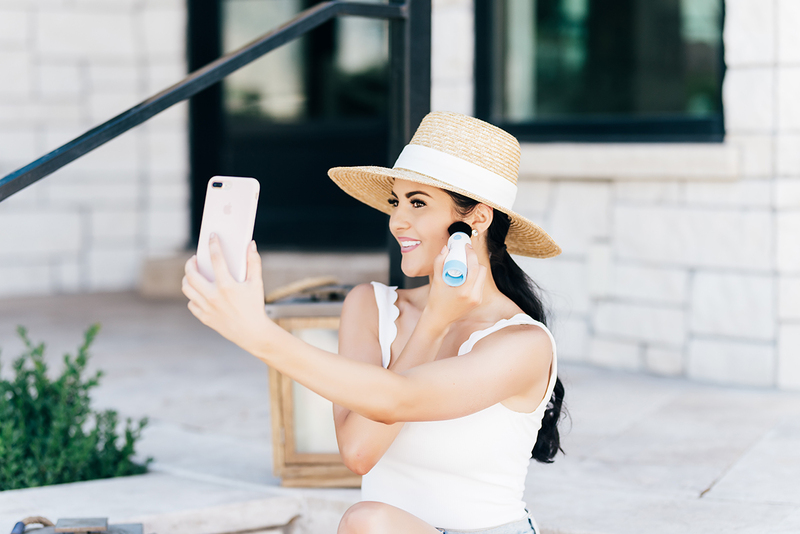 I’ve been using their products for years and love that they have expanded their product line so much! Their CC cream is the best I’ve found. Great for just enough summertime coverage so I don’t have a full face of makeup in the heat! 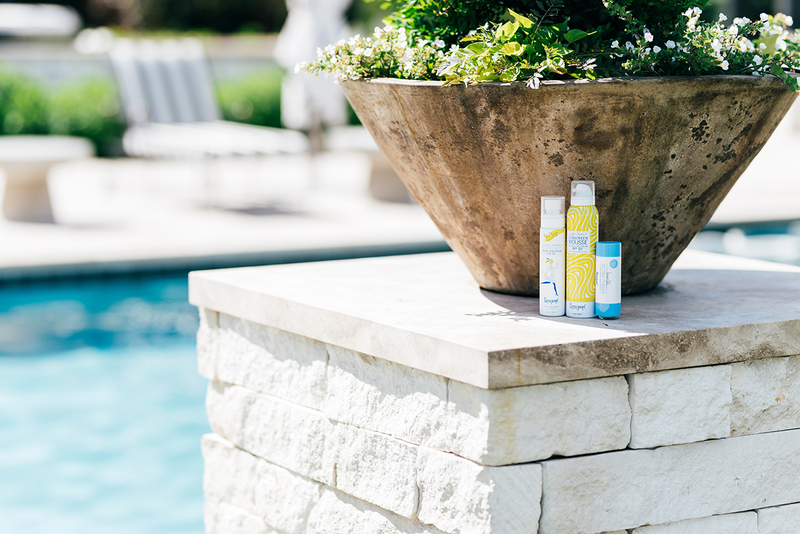 We have the giant sunscreen with the pump in our mudroom and the kids know to put some on before heading outside! Supergoop! is the best! Great post!! I’m glad I’m not the only one who’s obsessed with it!!! I’ll never use anything else! Can’t wait to try this! I find that a foam goes on much smoother and more even than anything else (esp a spray!). Btw, Isla is just too cute for words! Sooooo much smoother! It makes such a difference! Oo I really want to try this out! 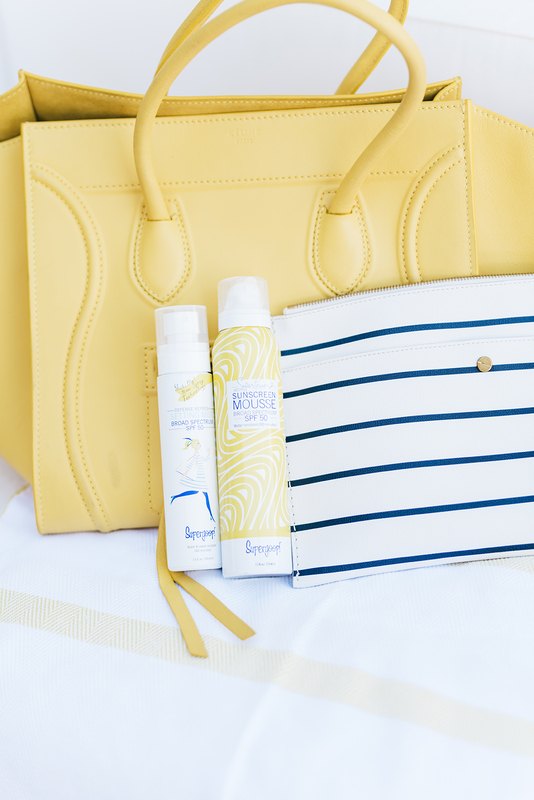 I’m always on a hunt for the right sunscreen! Love the photos! I agree it’s so hard to find sunscreen especially with safer ingredients for children! The sunscreen mousse looks fun to apply. It really is :) And it really works! Your pool area is a dream and i love that suit. Isla is getting so big too! Love the photos! I will have to try this! I’m always looking to try new brands of suncreen. Where is that blue/white striped pouch from?? It’s seriously amazing!!! And it’s from J.Crew :) One of their new arrivals! This post is perfect for sunshine! Love it! These photos are precious! I’ve heard great things about Supergoop…need to try it out! I absolutely adore your bathing suit and bag! Your daughter is soooo cute! I haven’t heard of this brand before, but I am always looking for a great sunscreen. The mousse texture would make application so much simpler, right? Soon much simpler! Seriously, this stuff is amazing! I’m obsessed and will recommend it to everyone! Little miss Isla’s bun is absolutely adorable! And the pool *heart eyes*! I agree SPF is super important. I just love Isla’s little bun!